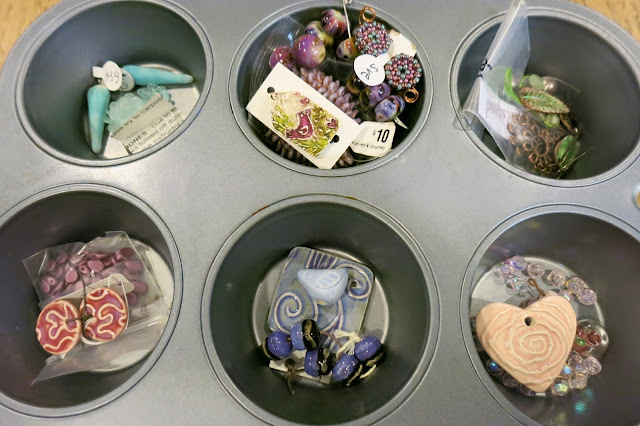 Have you heard about the Muffin Tin Challenge on Heather Powers' Humble Beads blog? It's a way of kick-starting your creative juices at the start of the new year. I decided to participate, for the 2nd time, this year. You gather up all you need to complete 6-12 projects and place all the project components in each cup of the muffin tin. Then whenever you have a moment, all you have to do is start creating, because you've already gathered up all the "ingredients" needed for your design. Unfortunately a bout of bronchitis got in the way of completing the challenge in time. However I did get 3 projects completed before the bronchial bug bit. 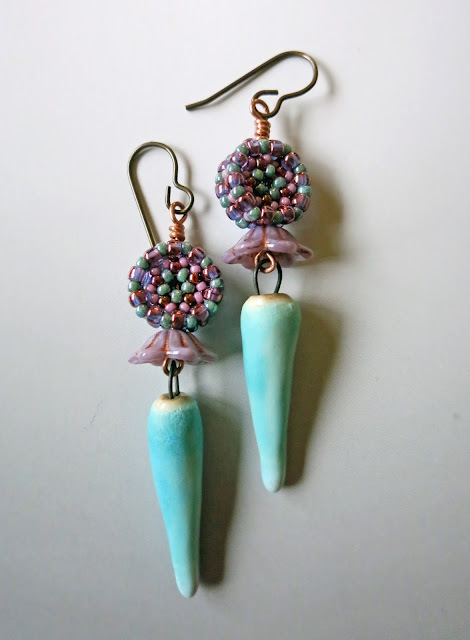 The earrings I ended up making kind of hopped from one muffin cup to another. See the turquoise spikes (Suburban Girl Studio) on the top left? They ended up getting paired with the beaded beads (Sue Beads) in the next muffin cup. At 3 inches long, these guys are kind of drama queens! 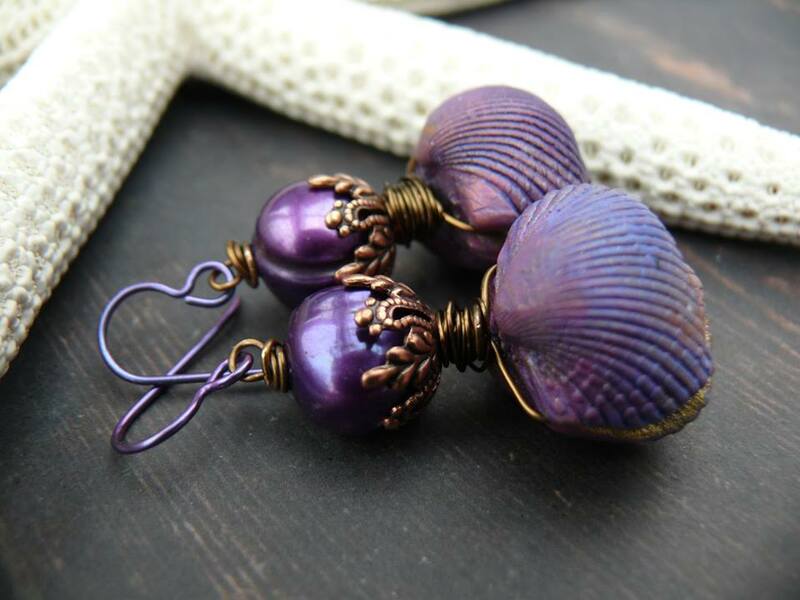 This pair of earrings will be perfect for someone who has the confidence and poise to be the center of attention. They're not gaudy and the narrow profile gives them a flattering line. But they definitely command attention - which I totally love about them. What about you? 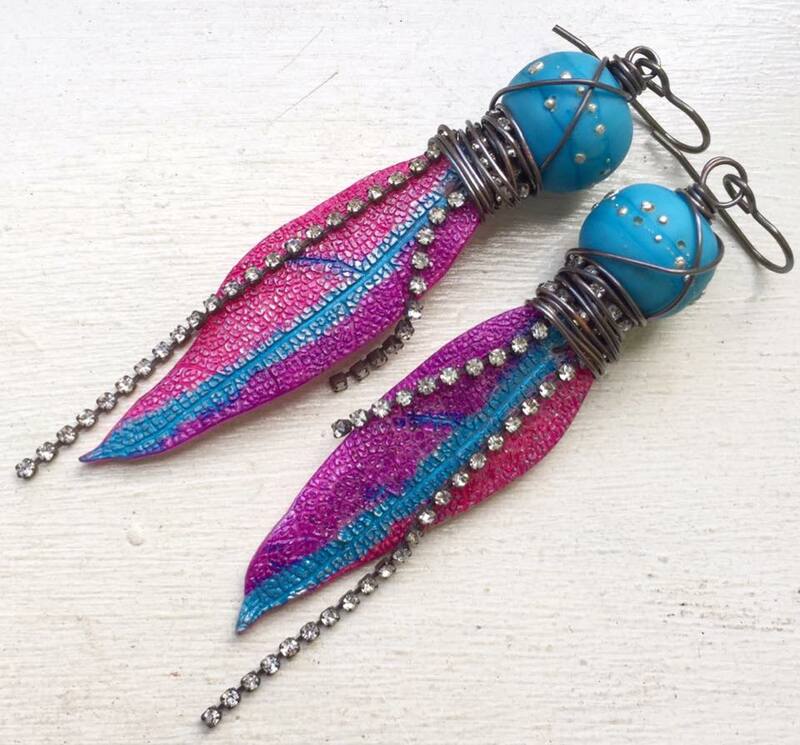 Do you prefer long or short earrings - or some of each? 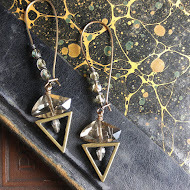 The Center Of Attention Earrings are now available in my shop. What a wonderful challenge. I can imagine this gets creative juices flowing. I am so sorry to hear you had bronchitis. I hope you feel much better now Linda. 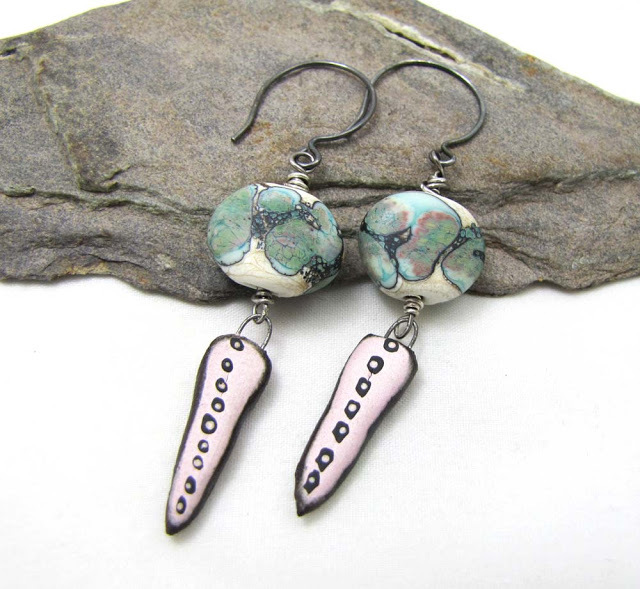 Your earrings are whimsical as well as elegant. They made the perfect hop in the muffin tin. Lovely. I think you earrings are gorgeous. I find that my customers don't wear long or heavy earrings. 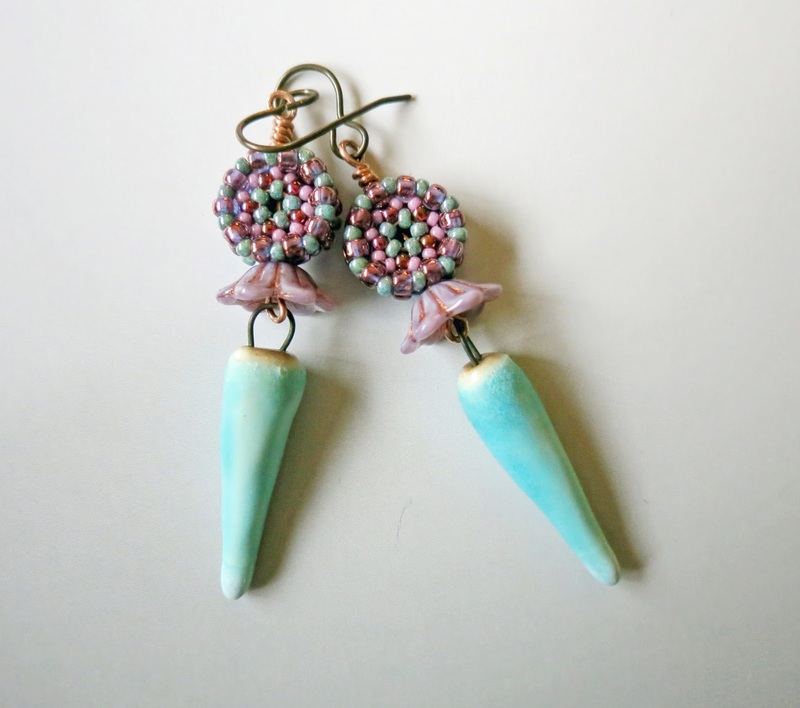 I try to keep my earrings around 2 inches or less which makes it hard to make them show stoppers like yours. Personally, I like long earrings. I would wear yours proudly! Heather did the Muffin Tin Challenge a few years ago and I participated, it's fun!! 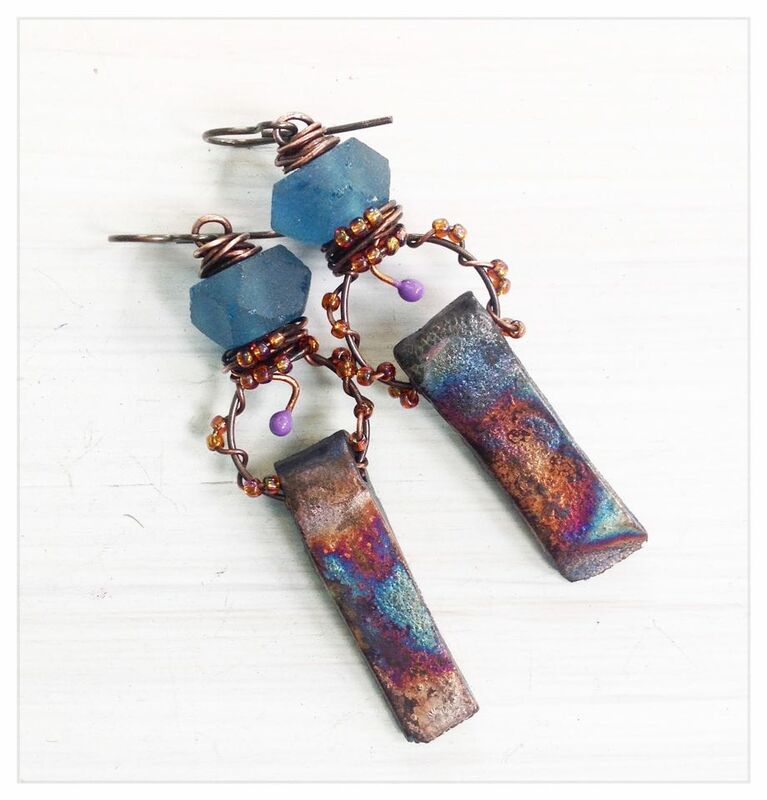 I love the earrings you made, the colors are so pretty!! 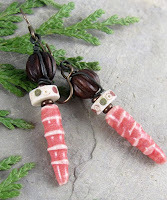 Such pretty earrings! 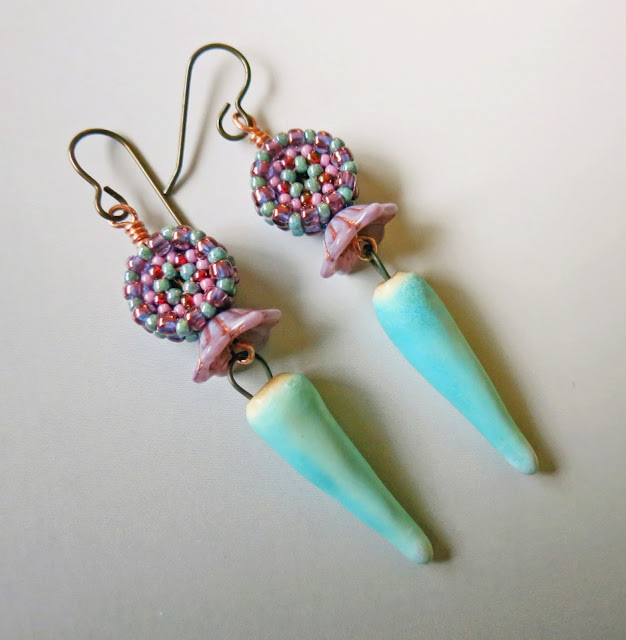 I love that turquoise with the other colours. These components look great together! I wear both long and short earrings but because my neck is short, my "long" earrings are not that long. 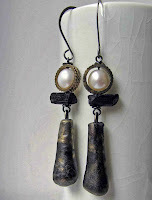 I hate it when earrings brush my shoulders; it drives me crazy. So I'm not sure I could pull off these beauties, but on a tall, long-necked woman? Wow! 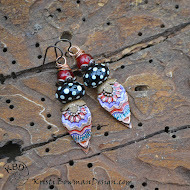 Beautiful earrings, perfect pairing of colors and materials. Thank you so much for sharing. 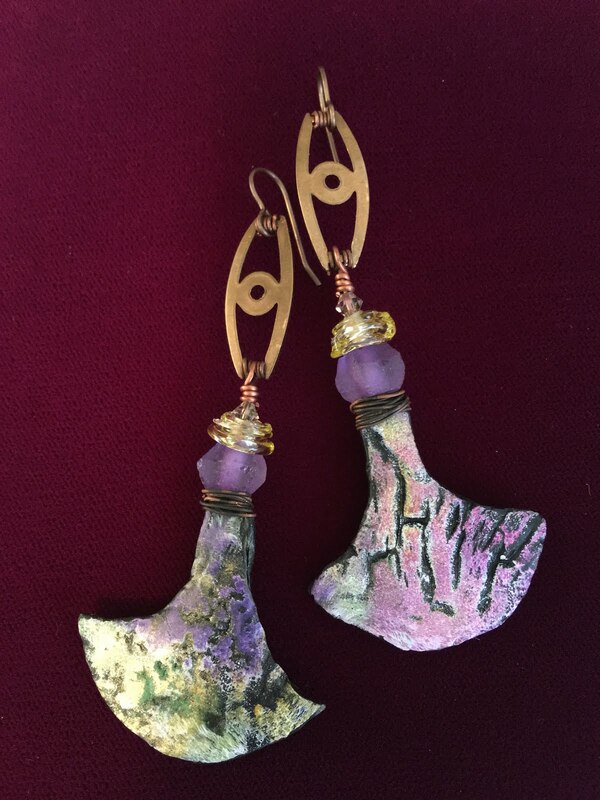 linda, the colors and texture changes in these earrings do make them hey, notice me, which so many women love! i think it's balanced beautifully with the almost pastel leaning colors. and they don't look 3" long. they are very eye catching and someone will nab those. as for me, i love wearing everything from a simple sterling ball on a stud, well, maybe at least two of them. ;) to your 3" babies. 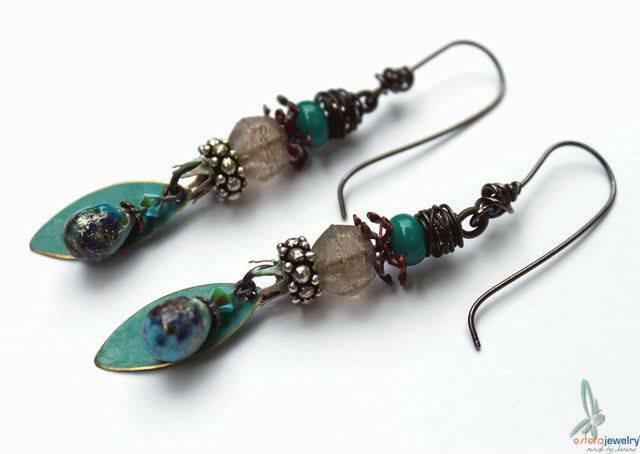 :) i love hippie, swingin', tinkling earrings. :) thanks for the great post. and please forgive my late comment. <3 hope this finds you well.